Scratching your head about the title of this recipe? Try saying jacket potato five times fast. One of our recipe developers has fond memories of this winter warmer, and of course we had to keep her family’s name for it. Healthy and hearty in every bite - do yourself a favour and dig in! Preheat the oven to 220°C/200°C fan-forced. 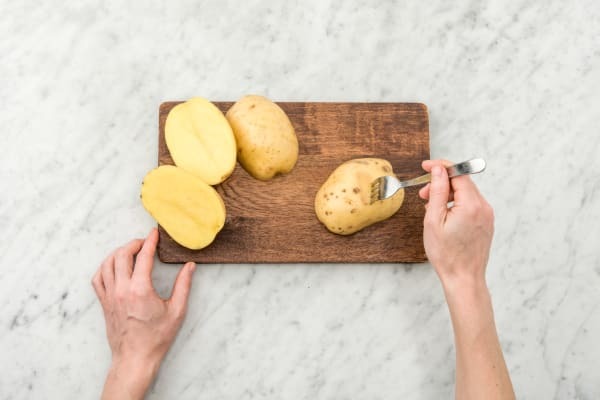 To prepare your ingredients, finely chop the red onion, chop unpeeled potatoes in half length ways, finely grate the Parmesan cheese, wash the mixed salad leaves, peel and grate the carrot and slice the cucumber in half length ways & then into half moons. Heat the olive oil in a medium frying pan over a medium-high heat. Add the red onion and cook for 3 minutes or until soft. Add the beef mince and cook, breaking up with a wooden spoon, for 5 minutes or until browned. Combine the hot water, beef stock, tomato paste and Worcestershire sauce in a jug and add to the pan. Bring to the boil. Reduce the heat to medium-low, and simmer for 25 minutes or until the sauce has thickened. Meanwhile, pierce the potatoes a couple of times with a fork on the cut side. 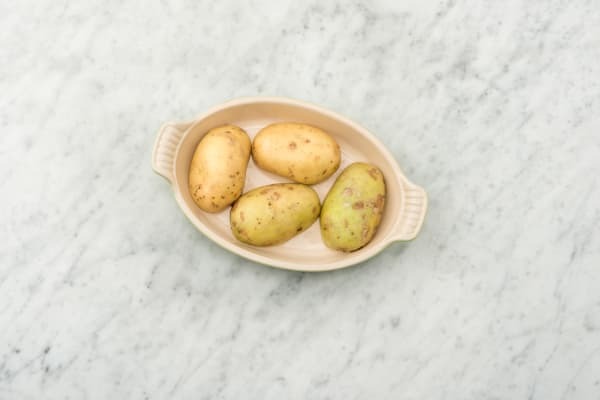 Place the potatoes in a microwave-safe dish and cover with paper towel. Cook on high in the microwave for 5 minutes, gently turn over, and return to the microwave for a further 3-4 minutes or until soft when pricked with a fork. Season with salt and pepper and a drizzle of olive oil. 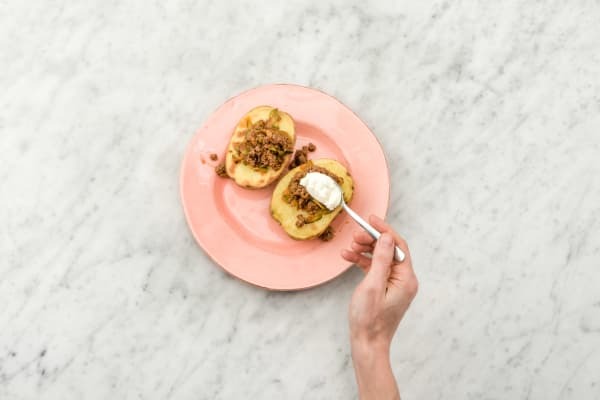 Transfer the potato halves, cut side up, directly onto the wire racks in the oven and cook for 20-25 minutes or until tender. Tip: If you don’t wish to use the microwave, place the potatoes in a large pot of water, cover with a lid and bring to the boil. Boil for 20 minutes, uncovered, or until par-cooked. Then cook in the oven as instructed. 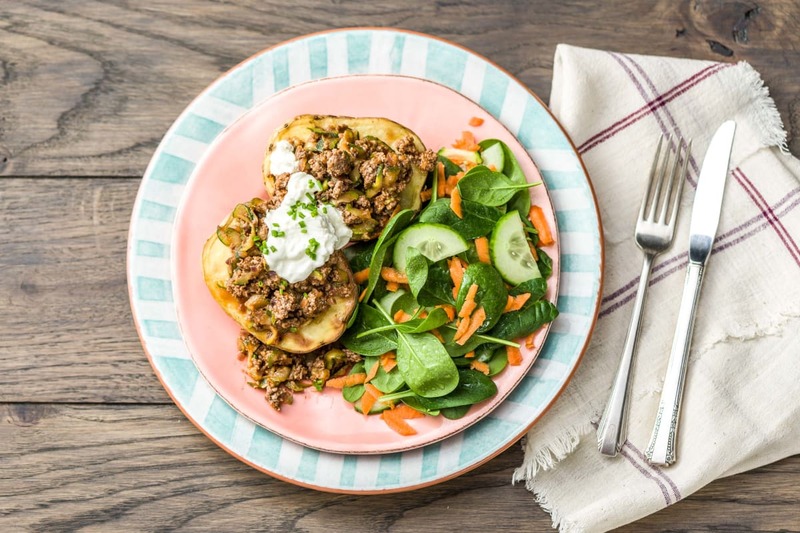 To serve, divide the potato halves between plates and top with the warm mince mixture. Sprinkle with the Parmesan cheese, dollop with the light sour cream and garnish with the chopped chives. Serve with the a salad of mixed leaves, carrot and cucumber.